7 Secrets for Mastering the Art of Web Designing - ZealousWeb Technologies Pvt. Ltd. The internet has paved the ways for products and service to reach the maximum consumers. And this is done by the stunning websites that companies possess. There are so many companies that look for these websites so that they can showcase their products and services and in the process connects with the mass effectively. For this purpose, web designers are required. 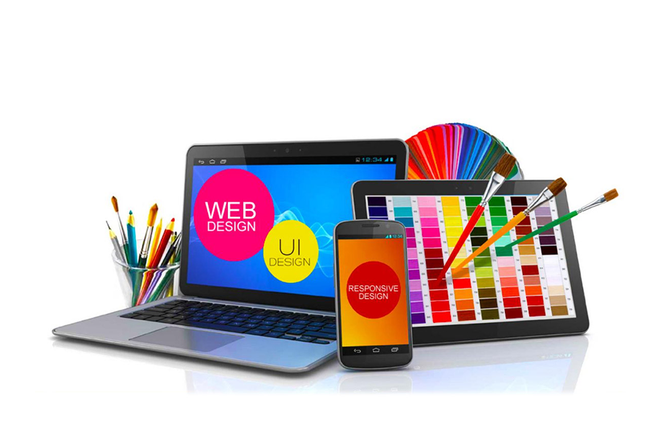 Web designers are those people who design websites and maintain them. There are different techniques used in this designing process. There are many companies that provide web designing services to the people and Zealous Web is the best Web design company USA. Now let us focus on some of the techniques that will help you master the art of Web design. Deploy Primary navigation options so that you can utilize its potential. It is at the top of the site in the menu bar. Provide secondary navigation options in the margin that are underneath the Primary navigation options. At times, it has been observed that the navigation options are rather confusing that draws out users from the site. That is why it is vital to use Intuitive navigation in the process. Excess of things can actually hamper the process. Too much of visual graphics, images and infographics can actually make the website very confusing. So go for short and shuttle information. Paragraphs need to be short so that it is easy for users to acquire the full information in a quick look. There should be spaces between the paragraphs so that the viewers have space for breathing. These spaces are very important to maintain a flow of the content. Maintaining the white space is the key to success here. Although the color setup depends on the point of view of the project, it is much advisable to use a neutral color palette which makes the website elegant. The color used need to be as per the logo of the company. This will blend the logo with the website. When you have very generic photos on the websites, the visitors would easily recognize it as a generic photos and the overall impression of the website would be general. That is why invest in good and professional photography. One of the misconceptions in website designing is that, people visit the home page frequently and number of times, but the fact is except the home page to the other pages are used more. People visit through the other pages more. No matter what, testing your design is compulsory. Test the shades of color, the designs and many such things. It will provide you a better insight.